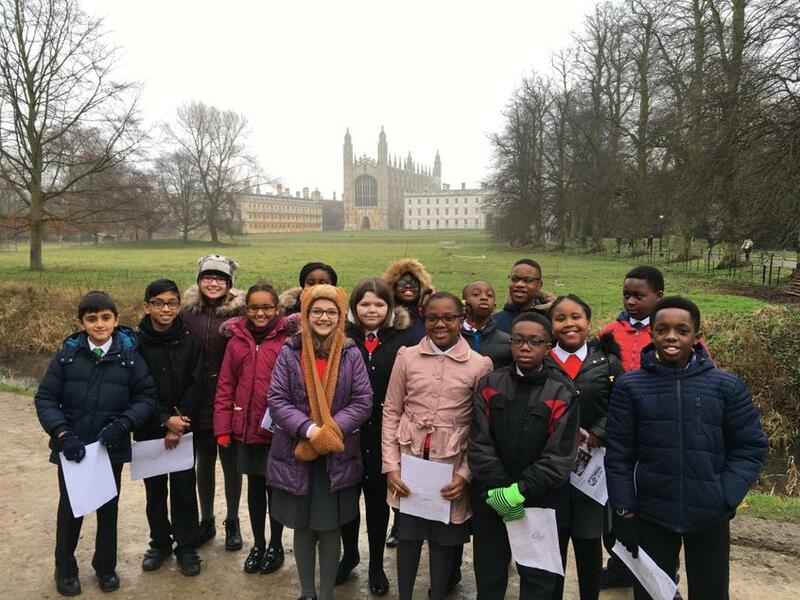 Last Wednesday, a group of our Year 6 pupils visited Cambridge University to find out about what it is like to study there in preparation for possible applications to the university in four years time. In the morning we became the first primary school group to visit Pembroke College in their 700 year history. They helped us to learn more about the college and the university before giving us lunch. After lunch, we visited the Sedgwick Museum (one of the most important fossil collections in England) before enjoying a private tour of the world famous chapel at King’s College and enjoying the rare privilege of sitting in on a rehearsal of the world’s greatest choir.